Impressive glass-panelled folding roof. Comfortable and relaxing to drive. Useable boot space. Refined even with the roof down. Fiddly stereo. Fairly pointless rear seats. 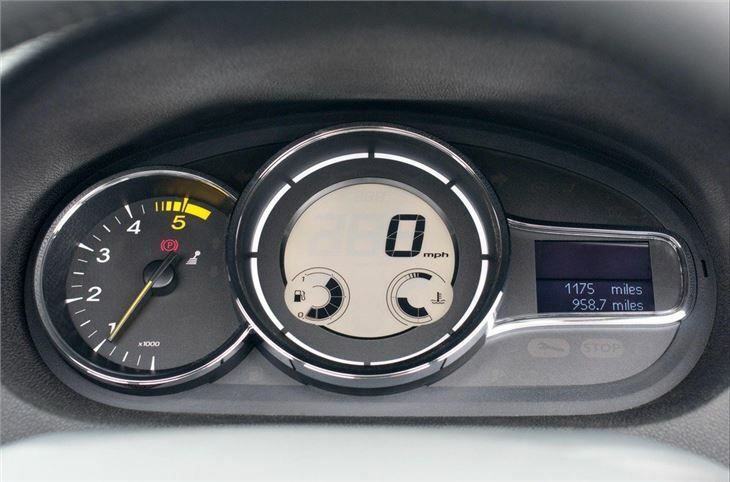 Emissions and fuel consumption of top dCi 160 on the high side. 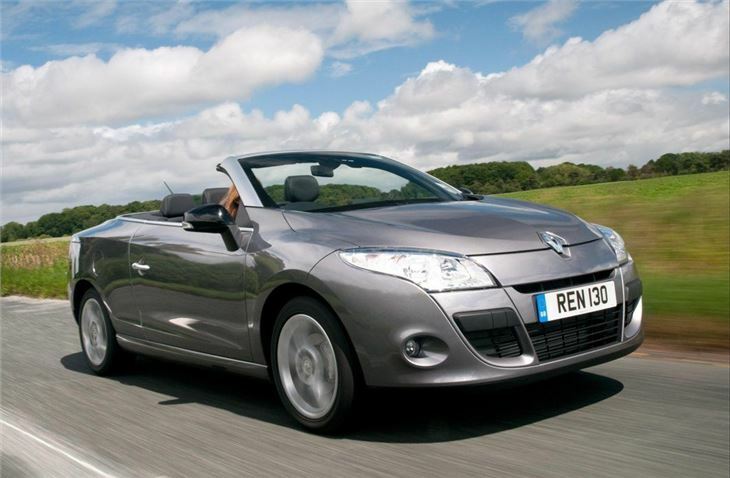 The Renault Megane Coupe-Convertible is a stylish convertible car that's able to offer the best of both worlds. Unlike some other cars of this ilk, it's just as impressive whether you have the roof up or down. It's also very comfortable and refined, meaning it's a convertible that you can happily live with all year round. 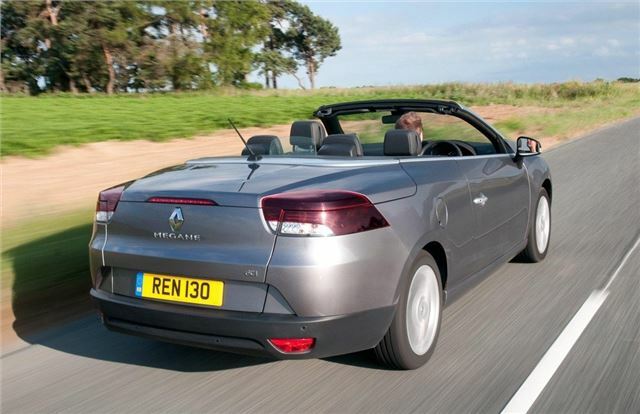 Of course, the main feature of coupe-convertibles is the roof and the Renault Megane Coupe-Convertible has one of the most innovative designs around. Rather than a metal top, it has two large glass panels which gives it a premium look and also means the cabin feels incredibly bright, even when the roof stays up. But the best aspect of the Megane Coupe-Cabriolet is that once you drop that stylish roof - which takes just 21 seconds - it's still a refined car to drive. 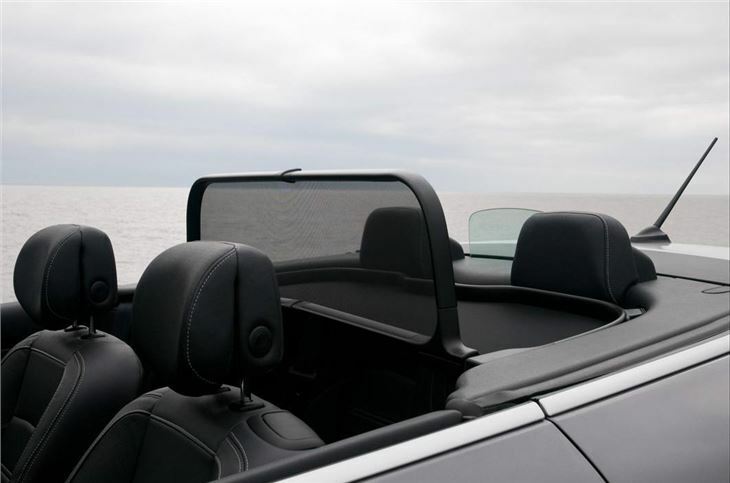 Thanks to a clever fixed glass wind deflector (and an optional mesh deflector) it's incredibly serene and unruffled on the move, while still allowing you to enjoy that sense of 'open-air' motoring. 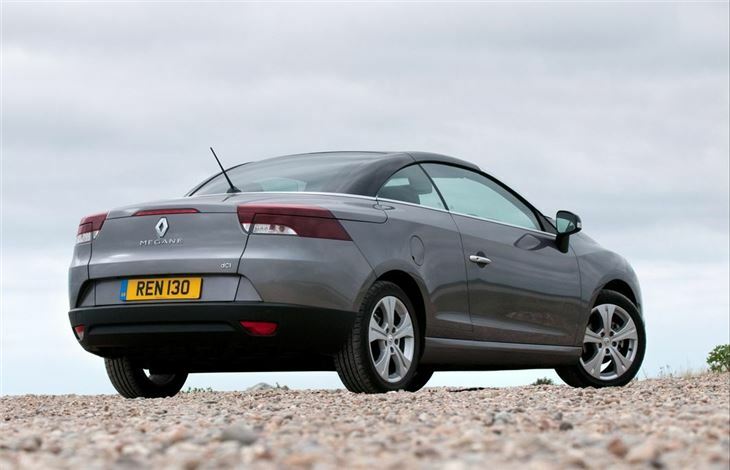 Renault has fitted some of its best engines in the Megane Coupe-Cabriolet too including the impressive turbocharged TCe petrols and some strong diesels, like the 1.5 dCi which is capable of averaging 56.5mpg. 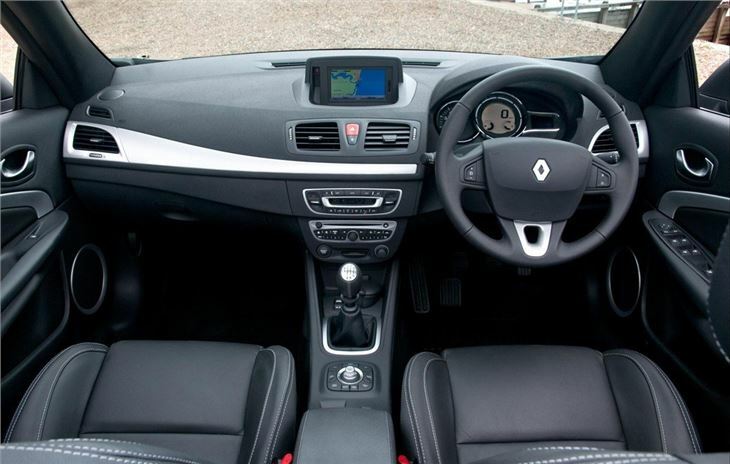 It shares the same cabin as the Megane hatchback which means a good quality finish with some high-class materials. 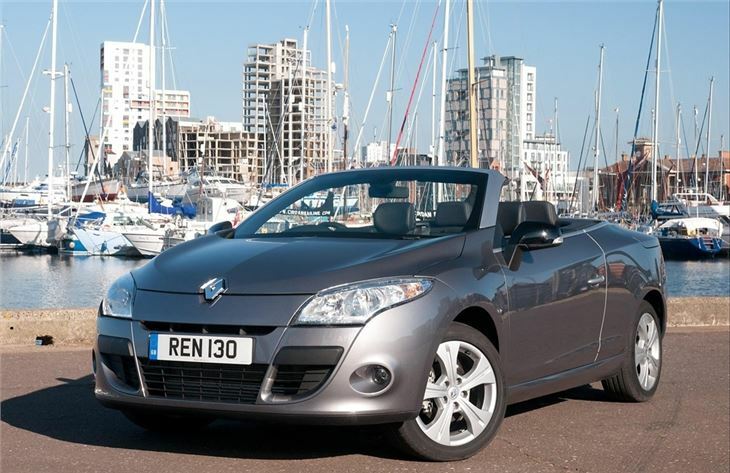 It's also relaxing to drive with easy steering and an impressively forgving ride, putting it firmly alongside the Volkswagen Eos as one of the leading coupe-convertibles on the market.